Even though Batman V Superman seems to be doing perfectly well without things like “a recognizable sense of humor” or “the smallest iota of critical approval,” it looks like Warner Bros. and DC Entertainment might be going in a different direction for their upcoming Suicide Squad. According to Devin Faraci of Birth.Movies.Death—citing numerous unnamed sources, so you should probably take this all with a big ol’ grain of salt—the supervillain romp has been sent back for extensive reshoots, in order to inject more jokes and lightheartedness into the project. That’s apparently in response to the reception greeting the movie’s most recent domestic trailer, which set its mayhem to Queen’s “Bohemian Rhapsody,” and accidentally stumbled onto the idea that fans might like a comic book adaptation with a little bit of pep in its step. According to the report, the reshoots aren’t just about ADR-ing more jokes into Will Smith’s mouth, either. 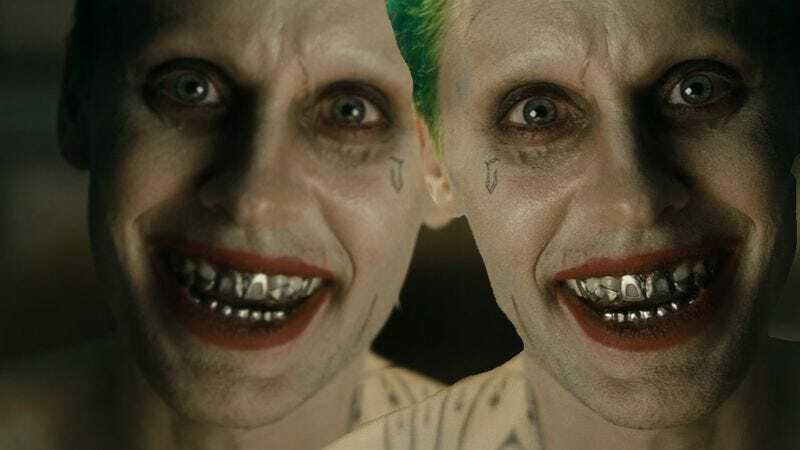 By all accounts, the new version of the film will feature far more character interactions between the leads, something that will presumably come as a great big ray of sunshine for everyone set to share a scene with Jared Leto’s aggressively method version of the Joker. This new, lighter, funnier take on mass murderers being let out of prison to get themselves killed is still set for an August 5 release.